In the southern and eastern U.S., a particular genus of snakes is virtually synonymous with getting into trouble—Pantherophis, also known as ratsnakes (or, sometimes, “chicken snakes”). As someone who routinely receives calls to rescue snakes in homes, cars, offices, garages, etc., as soon as the phone rings my first thought is, “What did a ratsnake get itself into this time?” This is in large part because they are such active foragers. Rather than waiting for food to show up, they greet the day by going out to find breakfast. They possess considerable assets to help in their quest—a tongue that can sense minute particles in the air (even indicating the direction a prey item traveled), good eyesight, and the ability to climb an amazing range of surfaces. For whatever reason, people commonly confuse ratsnakes with venomous snakes, and many tragically die because of misidentification. Such actions are short-sighted, as these are very beneficial animals. They are remarkably efficient rodent predators (hence their name), and rodents are responsible for a great deal of agricultural destruction and are a leading cause of house fires. 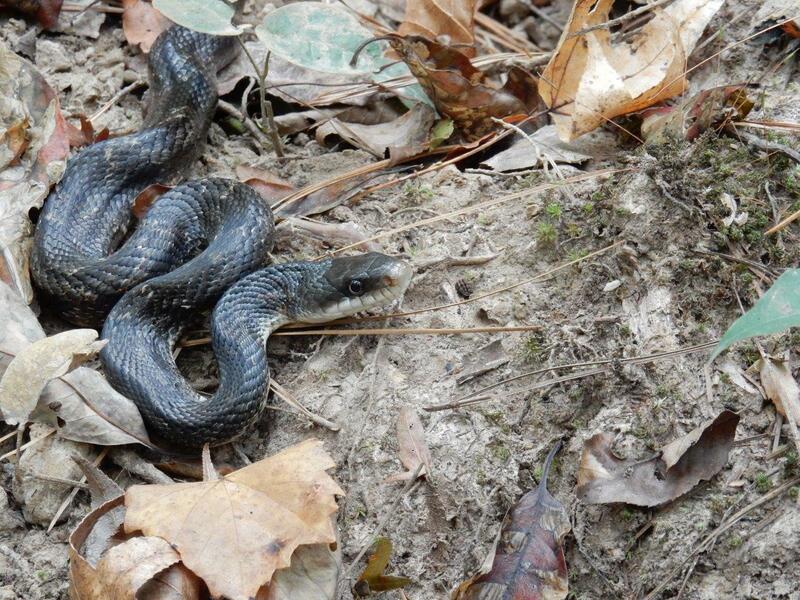 If a ratsnake is frequenting your property, it is likely performing a valuable service! While it is true that they also consume birds and eggs, the wise chicken keeper considers a few missing eggs a small price to pay for the services they provide. In urban settings, ratsnakes often find their way into houses and other structures while in search of prey or shelter. 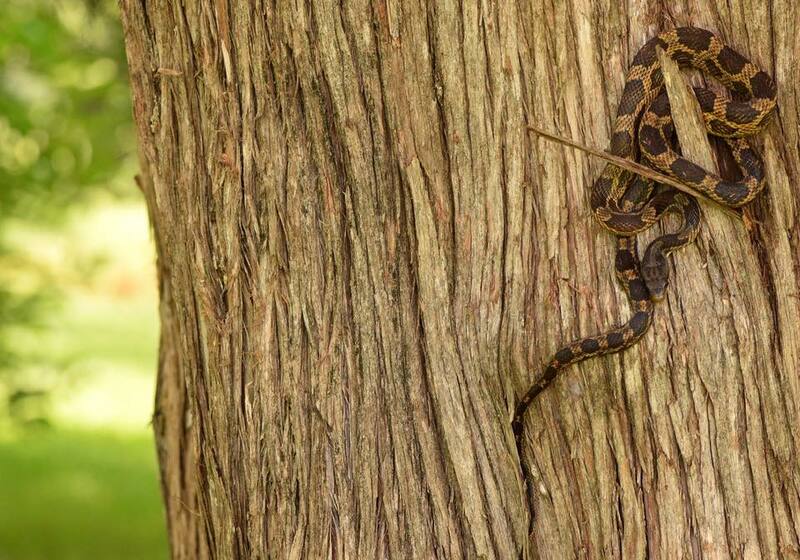 There is no reason to get upset at the snake in these circumstances. Snakes cannot be expected to understand and respect human property rights, nor should they have to, as they were in North America before any humans set foot here. When encountered, simply let the animal go its own way—there is typically no need to interfere. If they are somewhere unsafe, it is not difficult to move them. They are harmless, but it is best to stay calm and try to avoid making them feel threatened. You may wish to don gloves or use a broom to “shoo” them into a container, though just picking them up is usually the simplest option. There really is no reason to kill a ratsnake—they are beneficial animals and not out to harm anyone. If you see one outside and you really feel you must do something, a quick spray with a garden hose should make the animal move along. There are several species of ratsnakes, but if you are not in their range, there is likely a similar species filling the same ecological niche in your area. Take some time to familiarize yourself with common beneficial snakes like these and try to overcome any trepidation you may feel at sharing their habitat. While all snakes are beneficial in different ways, ratsnakes and their kin are a good “starter species” to resolve not to kill. Hopefully, once you begin to respect these animals, you will progress to appreciating every species for the role it plays in the ecosystem. Adopt the outlook that cooperating with nature is preferable to fighting with it! Like many snakes, ratsnakes tend to become darker as they age. Many people are surprised that juveniles and adults are the same species. 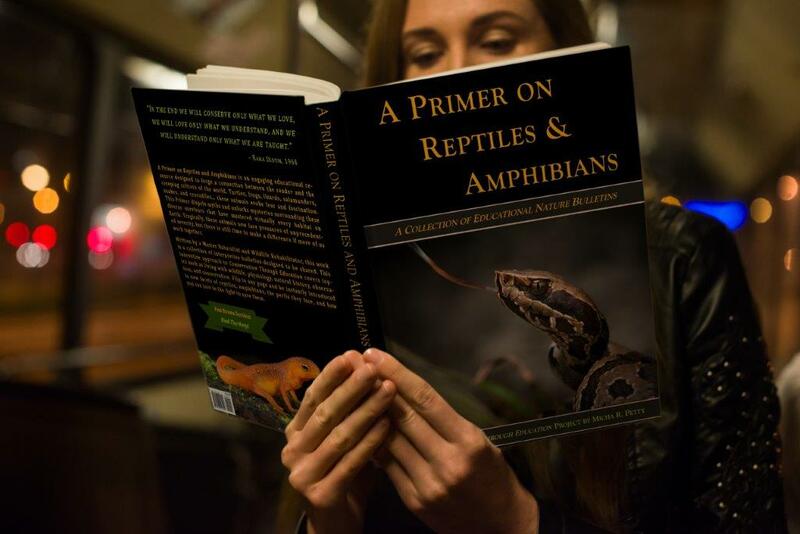 Become familiar with the range of their appearance so that you can identify them confidently and quickly, and encourage your friends not to kill these harmless snakes.